Each year, millions of people in the United States are injured in car accidents. While some of these people can pursue legal action to obtain compensation, many individuals are unable to receive adequate payment for the resulting damages. One of the reasons why people are often unable to reach proper results is that some injuries like whiplash are not immediately apparent. By the time common whiplash symptoms become noticeable, many people are left without legal options. It is critical to begin thinking about whiplash symptoms immediately after an accident occurs. Whiplash refers to a common type of injury that occurs when muscles in your neck become strained due to the sudden jerking motion that accompanies a car accident. Many times, this jerking motion results in torn tendons and ligaments. Some of the most common symptoms accompanying whiplash include blurred vision, dizziness, fatigue, headaches, pain, and stiffness of the neck. Some of the less common symptoms of whiplash include chronic neck pain, difficulty concentrating, difficulty falling asleep, irritability, and ringing in the ears. Following a car accident, you should be on the lookout for the symptoms of these conditions. As soon as you notice even the smallest symptom of whiplash, you should not hesitate to contact an experienced medical professional. Insurance companies are frequently doubtful of whiplash claims, but records from a medical professional can help to establish that you experienced these injuries. During diagnosis, a medical professional will determine if you have whiplash by asking questions about your injuries as well as the pain and other symptoms that you are experiencing. A physical exam will also be conducted to determine your range of motion. After being diagnosed with whiplash by a medical professional, it is critical to begin the claim process immediately. The first step to take often involves notifying an insurance company about the accident and starting the claim process with them. By waiting to file an insurance claim, you risk having your claim barred by a court of law. 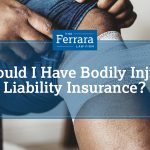 In addition to an insurance claim, it is essential to maintain other records related to the accident occurred like lost wages, medical bills, and prescription costs. These documents help to provide support of just how much damage resulted from the car accident. If you are experiencing any common whiplash symptoms following a car accident, you should not hesitate to contact an experienced attorney. 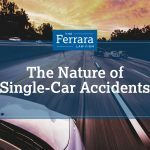 At The Ferrara Law, we understand just how devastating whiplash can be following a car accident, and we are dedicated to fighting for the results that accident victims deserve. The exact strategy that we take in your case will depend on a variety of factors including the available evidence about how the accident occurred as well as the severity of your symptoms. Contact our law office today for assistance. What can be Gained from a Car Accident Lawsuit?